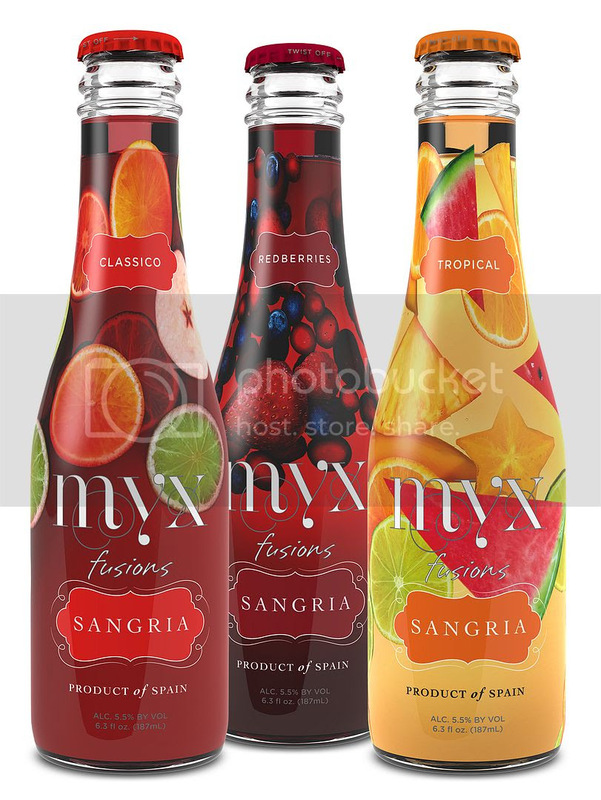 After an incredible 500% growth in 2014, MYX Beverage LLC has announced another innovative single serve offering: MYX Fusions Sangria,expected to reach shelves by July 4th, just in time for the 2015 summer season. The company, co-owned by international pop superstar Nicki Minaj, is taking the next bold step in the single-serve, ready-to-drink wine market with three new blends that combine select premium Spanish wine with natural fruit essences and a touch of sparkling carbonation to create a refreshing, ready to drink experience. In early tastings, the unique, slightly effervescent MYX blends consistently proved superior to other Sangrias on the market and even to fresh offerings in the on-premise. Once again, as with MYX Fusions Moscato, MYX is poised to change the way young women and men enjoy their wine. * CLASSICO - A new take on classic red Sangria. Combining a traditional Spanish Red with lemon, orange, cassis, and peach natural flavors. * TROPICAL - A Spanish White, bringing the flavors of the tropics straight to the consumer with a combination of Passion Fruit, Mango, Coconut, Peach and a hint of Cinnamon, the special twist MYX Fusions added to this soon-to-be best seller. * REDBERRIES - A classic mix of American fruits; Strawberry, Raspberry, Cranberries and Blueberries creates an incredible taste for consumers who are looking for a new twist in a Sangria. MYX Fusions will launch a fully integrated marketing campaign that will include print, radio and broadcast as well as exclusive events and social media messaging in support of the new blends. The winner of a 2015 Growth Brand award from the Beverage Information Group, MYX believes Sangria is on-track to become the next sensation for on-the-go young adults in the key 21-34 age group. "We are very proud of our newest product line in the MYX Fusions Beverage family," says Mona Scott-Young, part owner and Chief Marketing Officer for the brand. "Our fruit infused Moscatos have become a sensational success and now with, MYX Fusions Sangria, we have an opportunity to bring yet another signature ready-to-drink, fruit-infused wine to the market. We will continue to connect with key consumers by staying on-trend and delivering beautifully packaged, premium quality beverages." "The MYX Fusions team is excited by the addition of MYX Fusions Sangria" says Peter Reaske, MYX Fusions CEO. "We're very proud of our two-year track record and we believe the new flavors will build on our momentum, capitalizing on the ongoing trend in Sangria sales with this iteration of our MYX Magic." MYX Fusions Sangria, a product of MYX Beverage LLC, is being introduced to the tradeand expected to be on sale in July. MYX Fusions Moscato is in 47 states, Australia, Canada, UK, and continues to expand. Suggested retail price is $8.99-$9.99 187ml, 4 pack with an ALC. 5.5% By Vol. For locations, please visit us online at www.myxfusions.com. Follow MYX on Twitter at @MYXFusions and like us on Facebook atFacebook.com/MYXFusions.